Backpacks Mod is 36 empty backpacks which can be used as a place to store your items. It's very difficult to fill all the slots in the inventory if you have at least two chests, but with backpacks you can get out of your head these square things. Backpacks may help you out during the extraction of resources, or in the construction of something really big. Just craft a couple backpacks, and then all of your items will fit in your inventory without difficulties. At any time, the backpack can be opened, and you pull out the desired object in one motion. How to get the backpack? There are two types of backpacks are small and large. Small backpacks have 27 slots available, and look a little less than a large, which can hold twice as much. In total, these bags can hold more than a thousand objects including stacks. In fact, the Backpacks Mod is a real rescue for travelers picking up everything in their path. 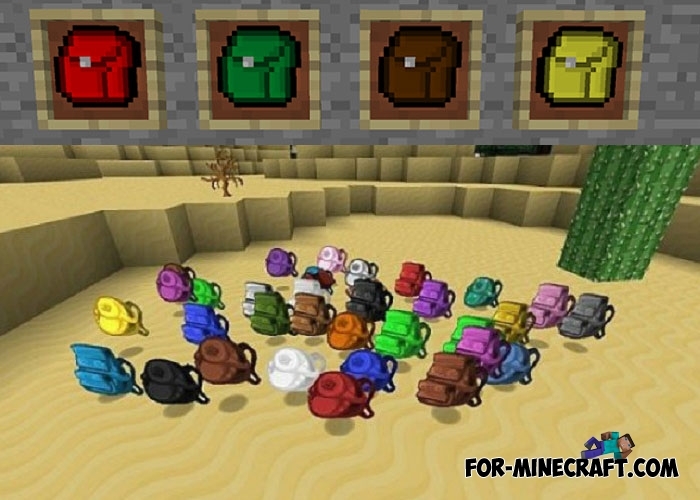 Each backpack has a crafting recipe depending on the color, so always choose the right color of the dye. 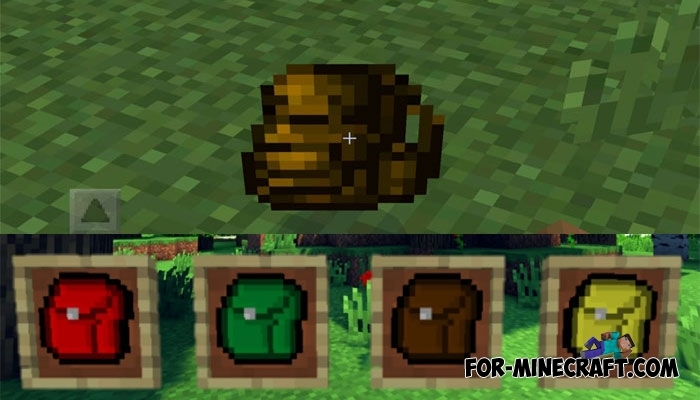 There are no limits for crafting so that it is possible to completely fill the inventory by these backpacks. After crafting take your backpack in hand and tap on the ground. Instantly appears backpack inventory, where you can move items. Filled rucksack can be thrown to the ground, while it will keep all of the items inside. Hi i really want this mod too.